There are different wig shampoos on the market today with some made for human hair wigs and others made for synthetic fiber hair wigs. Wig shampoo you select three the human hair wigs or synthetic hair wigs should be gentle and contain moisturizing properties. A clarifying shampoo may be too harsh to use since the human hair itself is not protected with your own body oils. As important as the shampoo selected is the way you wash your human hair or synthetic wig. You should always use lukewarm water and add the shampoo to the water and gently mix with your hand. Then you may submerge the human hair wig within the shampoo and water mixture and let it sit for 5 min. Gently rub the human hair with your fingertips using caution not to tangle the hair. Then follow the same procedure to rinse the hair. The gentler you are on your human hair wig the longer it will last. Do I need a lace wig conditioner? 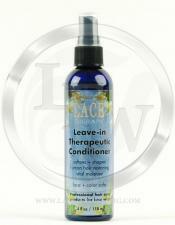 A lace wig conditioner is a must product to have in your bathroom. If there is one thing you must remember to do to a human hair lace wig is to condition, condition, and condition again! 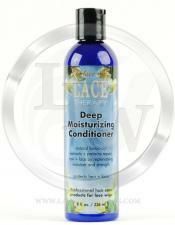 A conditioner should replenish the hair is vital nutrients, moisture, and strength. A good lace wig conditioner will contain cantonal which will penetrate the hair shaft and leave a fine coating on the cuticle itself. If an oily conditioner is used be careful not to apply it to the knots on the lace wig base. An oily conditioner can actually loosen the hair causing increased hair loss. We explain the difference between wig shampoo versus regular shampoo. We offer the best lace wig shampoo and conditioner. 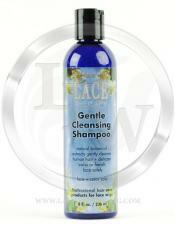 We carry and recommend the best shampoo for lace wigs to gently cleanse and moisturize. We instruct you on how to wash a lace front wig the correct way. Is a special king of wig shampoo necessary or recommended for my lace wig? A special lace wig shampoo is recommended for the proper care of both a synthetic lace wig and a human hair lace front wig or full lace wig. Lace wig shampoo must be gentle cleansing and contain him rich moisturizing properties to replenish moisture that is stripped from the human hair itself. Moisture in the human hair is key to keeping the human hair looking beautiful, natural, and non-tangling. As important as the correct shampoo to use is the way to apply the shampoo and the washing of the hair itself. It is recommended that the shampoo be poured in a Luke warm water and agitated by hand to create suds. The human hair lace wig should gradually be placed in the water that contains the gentle cleansing shampoo. But the wig remain in the water for approximately 5 min. and using your fingertips rub the hair gently to make sure all the residue is removed. Be careful not to rub your hand in a circular motion or tangling will occur.